Ah, summer. The time of year we get to kick back, relax by the pool… and have the media scare us with tales of kids who drown when they’re not even in the water. This week, a 4-year-old girl from Florida nearly died after having a physical reaction several days after inhaling pool water. Thankfully, the girl’s mother remembered a widely publicized news story from last summer in which a 4-year-old boy from Texas died from dry drowning and took her daughter to urgent care — a move that likely saved her life. 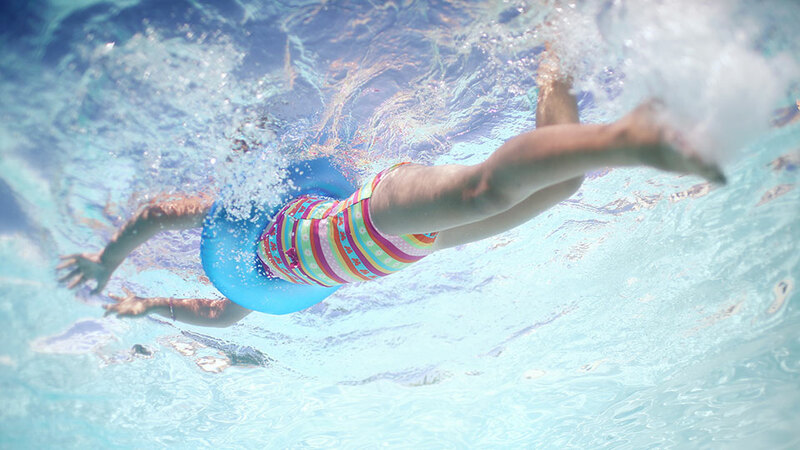 But what is dry drowning and how concerned should parents be about it this summer? To start with, “dry drowning” is not an accepted medical term. So here’s what happens: When people swallow water into their lungs, it can cause the vocal cord to close even though the natural response is coughing. Coughing against a closed vocal cord can sometimes lead to inflammation in the lungs, Liou says, causing the lungs to fill up with fluid over the next few days. The buildup of fluid in the lungs can cause the patient to essentially suffocate, Liou explains, because the lungs will not be able to get oxygen into the body because of the swelling. To complicate matters, there is another condition called secondary drowning, which people frequently refer to as dry drowning according to Liou. That happens when people swallow a lot of water into their lungs, but not enough that would cause them to drown immediately. If this happens, oxygen wouldn’t be able to get into the body, leading to respiratory failure and sometimes death, he notes. According to Liou, the symptoms of dry drowning include chest tightness, chest pain, shortness of breath, coughing and feeling tired. They typically start to appear between a few hours to 24 hours after the initial exposure to taking in water — although they have been reported up to 10 days after the incident. “While frightening to consider the possibility of delayed complications, it’s reassuring to know that patients who develop serious problems will generally show warning signs,” Taub notes. If you recognize the symptoms of dry drowning, you should see a health care professional immediately or call 911 if the person is in distress. And how is dry drowning treated? Even though it has been in the news a lot recently, dry drowning and secondary drowning are actually really rare, accounting for about 1 percent of drowning deaths, Liou says.